In operation since last year, Facebook's IQ Industry Research blog provides a range of data insights and information to assist Facebook advertisers in better targeting and maximizing their ads and ad content. While the majority of information is, logically, Facebook-focused, they've recently extended their research to incorporate wider industry trends - the objective here is to tie that data back to improving your Facebook advertising experience, but the information presented is less platform-specific, and more industry-targeted. 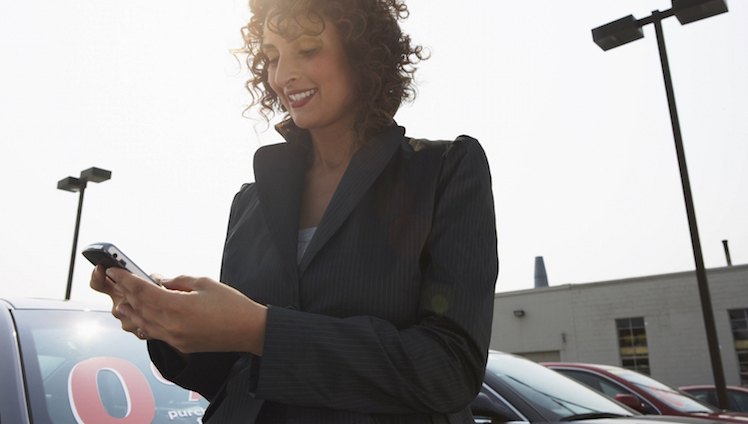 Their latest report looks at how people go about purchasing new cars, and where in that purchase cycle people are most receptive to advertising material. 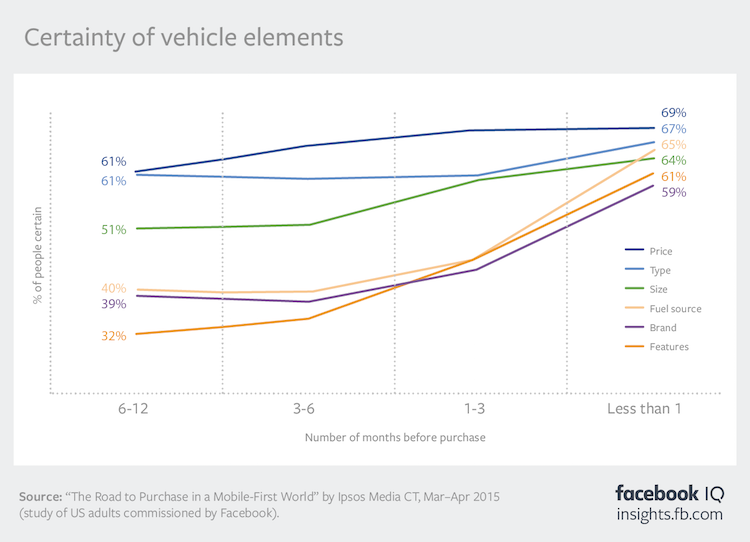 For their new report, titled "The Road to Purchase in a Mobile-First World", Facebook commissioned Ipsos Media CT for a study of more than 1,500 prospective car buyers in the US, looking at how the automotive purchase process has changed in recent times and what it means for marketers. "There are many moments that take place before a vehicle shopper becomes a new vehicle owner, from conducting research and asking friends and family for advice to narrowing down options and taking a test drive. No matter how much research one does and how many sources one consults, purchasing a new car is and always has been a complex process. To help auto brands better understand and connect with the people who matter to them, Facebook commissioned Ipsos Media CT to conduct a study of US auto intenders ages 18+ on how the car-purchasing process has changed for them and what it means for marketers." The interesting thing here is that the data is not exclusive to Facebook - it's not even based on Facebook data. Ipsos' researchers found that the average American consumer considers 2.5 types of vehicles (e.g. SUV, sedan) and 5 brands before making a purchase decision - with 60% of people "in market" for a new car for at least six months gathering research. Ipsos found that people generally decide on a price range early on, then refine the specifics of their choice through that six-month purchase cycle as they learn more information. Ipsos researchers determined that 59% of car buyers have narrowed down their choice to one or two vehicles by the last month before purchase - but interestingly, in this last month is when people say they are exposed to the most car ads on digital, likely based on their search history and social media post content. The conclusion here is that marketers looking to reach prospective car buyers should be looking to reach that audience earlier in the purchase cycle, while they're still in the process of making a choice about which car to buy. Ipsos also found that people are increasingly conducting vehicle research on mobile devices, with 27% of those surveyed doing most of their research via mobile, a number that jumps to 45% for Millennials, and 41% of people with household incomes greater than $200K. 70% of mobile-first consumers also reported "feeling overwhelmed" by all the information available, with 65% indicating some concern that they'll make the wrong decision because of difficulties with the mobile research process. No doubt all this information is of great use to auto marketers, but as noted, none of this directly relates to Facebook or Facebook data, the report is only noted as being "commissioned by Facebook". The conclusion of the Ipsos report is that brands should utilize the power of digital advertising to "drive awareness, consideration and intent" earlier in the automotive purchase process to reach consumers before they've made definitive decisions on what car they're looking to buy. Auto marketers should also be looking to make their information more mobile friendly to cater for the increases in mobile research - of particular relevance to Millennial buyers. If you're not aware of Facebook's IQ Insights blog, it may be worth heading over and subscribing, they produce a wide range of data and audience information that can help brands in various sectors better target and focus their ads in order to maximize their effect. Reports like this, too, indicate that Facebook is committed to helping brands get a better understanding of industry-specific trends and habits extending beyond Facebook's eco-system alone - obviously, the end-game focus is to get more advertisers to utilize Facebook's ad options (including Instagram, which is big for automotive marketers), but the research here covers more than just Facebook activity, providing additional context. In a note accompanying the report, Michelle Morris, Facebook's group director of auto and financial services, noted that brands can utilize this information to reach users earlier in the purchase cycle by using Facebook's ad targeting based on life events. Targetable life events include having a baby, getting hired for a new job or getting married - the accumulation of data from the report, along with Facebook's ad targeting algorithms, will enable marketers to reach prospective buyers at the most receptive stage of the purchase journey. 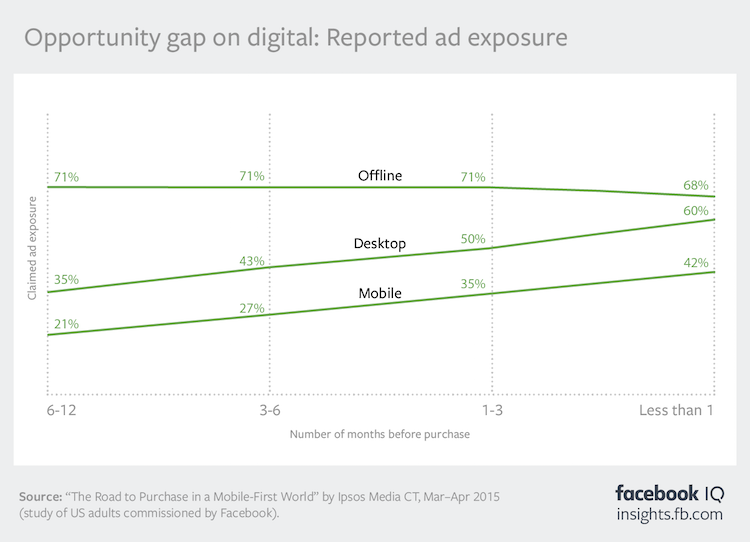 While the intent of the report is clear, it's interesting to see how Facebook is utilizing industry data and research to help fuel further investment in their ad products.